Photo courtesy Paul LePage, Maine’s Governor Facebook page. WASHINGTON – The federal government will allow waivers to states that wish to implement work or volunteer requirements, premiums and co-payments to qualify for Medicaid coverage, a program that provides healthcare for low-income adults not yet eligible for Medicare. The federal government will allow waivers to states that wish to implement work or volunteer requirements, premiums and co-payments to qualify for Medicaid coverage, a program that provides healthcare for low-income adults not yet eligible for Medicare. Some liberal advocacy groups have threatened to oppose any effort to ask for co-payments or premium payments of that newly eligible population, despite the fact that the law that enabled the expansion, the Affordable Care Act, caused massive premium increases on other working American populations. As of the start of the second session of the 128th Legislature, lawmakers had no clear path forward on funding the Medicaid expansion, with Democrat leadership threatening to sue the Governor if he didn’t implement expansion, despite their refusal to find a way to fund the program. Congressman Bruce Poliquin reinforced that sentiment with a statement striking a similar tone as Governor LePage, stressing the importance of pushing Mainers to reconnect with their communities. Congresswoman Chellie Pingree, however, called the decision “cynical”, “shameful” and “inhuman” in a series of tweets. House Republican Leader and gubernatorial candidate Ken Fredette tweeted about the decision, calling it “Good News!” Shawn Moody, a southern Maine businessman running for Governor issued a statement supporting the reforms, stressing that the change would protect resources for the most vulnerable and push Mainers toward self-sufficiency. State Senator Eric Brakey, who will challenge Angus King this fall, issued a statement in support of the changes by the Trump administration as well. The waiver and reforms, if approved for Maine, are certain to renew a political firestorm of debate, as Democrats see the requirement of people to work or volunteer for benefits as a harsh and unnecessary reform, while Republicans generally believe welfare beneficiaries should work toward being self-sufficient, and see a work requirement as a helpful step in that direction. When Maine implemented a similar reform for eligibility for TANF benefits, state officials reported that in the four year period after the reforms, recipients of TANF benefits saw their earnings increase 237%, with a reduction in the number of people receiving benefits from 16,000 to 4,500. 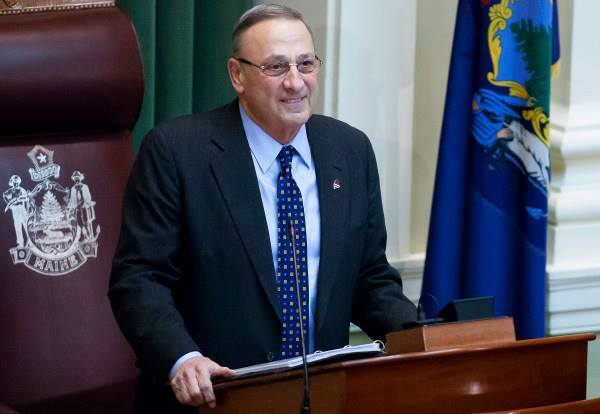 In a Fox News interview on Thursday, Governor Paul LePage says he “absolutely” believes the work requirements for Medicaid will work across the country.